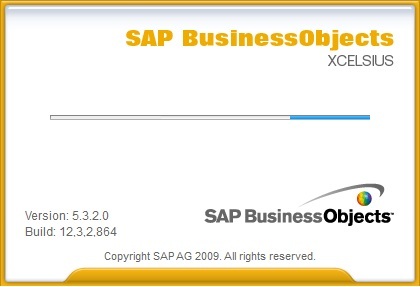 Yesterday, we’ve posted few enhancements that were expected in the next version of SAP Business Objects Dashboard Design (F.K.A Xcelsius). Some of you who got the link via email/Twitter/LinkedIn etc must be wondering where is the post now. Well, unfortunately we had to take it down momentarily since XI4.0 is still in beta and we were asked by SAP not to post it until it is public. Although the source was anonymous, we work closely with SAP and hence honored the request. However, we promise we will be amongst the first to break the story when we get a go ahead. If we have caused any inconvenience in any way, our sincere apologies. No matter even if Soccer is not your kind of sport or how much ever busy you are, It’s hard to stay away from all the buzz that the Soccer world cup creates. So if you want to know when and where your favorite team is going to play next, check out this Xcelsius Match Finder. I’ve used the Google maps plug-in 2.0 for Xcelsius to show Stadium locations. It’s truly a powerful mapping tool for Xcelsius. More about it in future posts. Till then enjoy the World cup and use this dashboard for all FIFA match schedules :-). If you are wondering about the instructions to use it, don’t worry, I’ve put them all on the dashboard as a pop-up. Click on the below image to launch the dashboard. 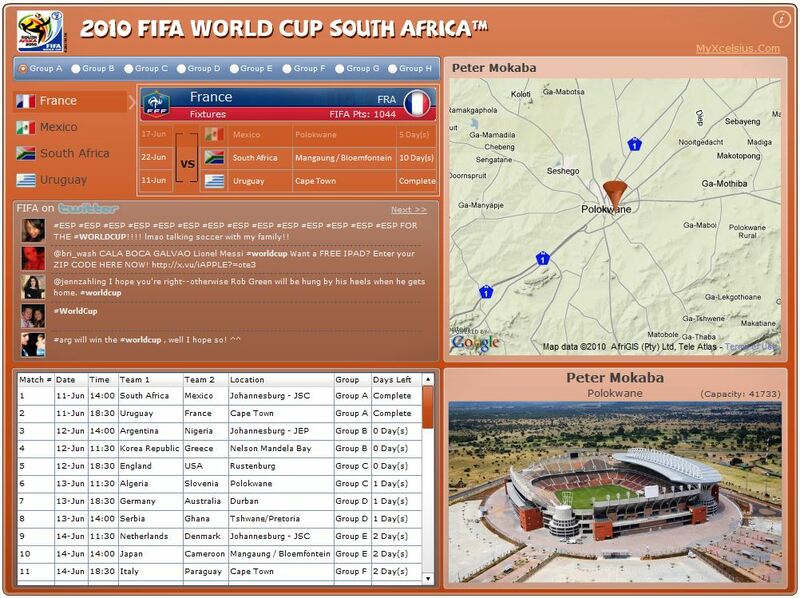 17 Jun 2010: Update: Added live score updates. Posted in: Interesting, Xcelsius 2008.